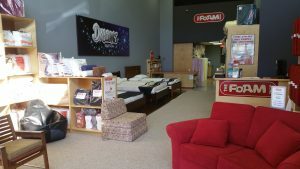 Our Surrey store is located on the corner of Fraser Highway and Fleetwood Way, next to DollarMax and Envision Financial. With two reserved parking spots and a handicapped spot directly in front of our store, our customers have easy access to their comfort needs. 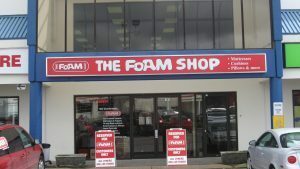 Servicing White Rock, Delta, and Surrey areas, The Foam Shop Surrey is growing rapidly with the community.